One of my favourite things about being interested in Horse Racing breeding is pinpointing new stallions to follow. One stallion I like the look of and will follow with interest is Honorius, who will stand in Australia but also stand in the Northern Hemisphere during 2018. Honorius has done all his racing in the Southern Hemisphere which may mean he goes under the radar a little, but for those looking for a potential classic stallion, Honorius is certainly one to consider. His sire Holy Roman Emperor has had success all over the world and Honorius is ready to follow in his footsteps and do exactly the same thing. Honorius is a Group 3 winner himself, he won the Group 3 Craven Plate over 1m2f under talented Australian jockey James McDonald. 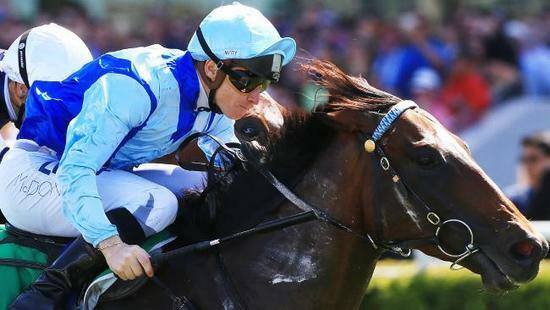 He has many more strong pieces of form to his name, finishing second in four more Group 3 races. Alongside this he has also ran well in Group 1 company, coming third in the Queensland Derby, third in the Spring Champion Stakes and fifth in the Epsom. He has constantly shown a high level of ability, the type you want to see from a potential star stallion. Honorius has done all his racing on turf, meaning he should have no trouble performing well in British conditions, something that some dirt racers have trouble with. Being by Holy Roman Emperor, strong grass performances run through the breeding and on paper Honorius looks to have good credentials and ones that will certainly attract many people. If you are looking for a stallion to sire a British classic winner then no matter what classic you want to win, Honorius can be the one for you. As a three year old he placed in races ranging from 7f up to 1m4f, making him have the potential to sire 1m Guineas winners, 1m4f Derby or Oaks winners, all the way up to 1m6f St Leger winners. Later in his career as an older horse, Honorius himself ran over 1m5f showing he does have plenty of stamina. Honorius won himself as a two year old twice showing that he was quick to get going and he actually ran seven times as a two year old. He should be able to sire similar types who can race at two, before going on to compete in the British classics as three year olds. By racing until he was seven, Honorius also showed he is tough and durable, a trait that is vital when looking for a stallion. Honorius has a good pedigree and the right traits to make him a good stallion. If his progeny follow suit then they should be able to race as two year olds, challenge for British classics and be durable and tough enough to be able to continue racing for many years. He is a good addition to the stallion ranks and a horse I am very interested in following in the Northern Hemisphere throughout 2018.